16th of January we embarg on a new challenge for 40 days!! Watch Yasmin explain more! Subscribe here. This month 5 years ago I swung open the hatch of the Grassy Hopper trailer and we started selling our first smoothies, juices and veggie burgers. I was a woman on a mission to help people eat better. I wanted us all to have more choices, for it to be easier to eat well and for it to be seen as something that makes you a better and more interesting person. Looking back now, I feel I have accomplished many of those things. It is indeed much easier to eat healthily now. There are more options, cafes, food trucks and restaurants sprouting up in many parts of the island and even old favourites adding healthier dishes to their menus...you can even get a healthy meal delivered to your door. There is still a long way to go. And there are still many issues within the food and catering industry (more on that later). As I look forward to the next 5 years...I have been asking myself what role the Grassy Hopper has to play in our society and what I personally can continue to give to the cause. 2 years ago I started a new project Sanya Eco Spa. Sanya was born out of Grassy Hopper. It is a continuation of my mission to help people feel better. Whilst that mission started through food...it has now expanded to include yoga, meditation, tools to de-stress, body work, breathwork, holistic treatments and more. There are so many people suffering from stress, anxiety and many other conditions that can be alleviated quite easily through lifestyle changes. Personally when I look ahead to the next 5 years...I feel my deepest calling is to do this work. The Grassy Hopper means too much to myself and many others to simply give up on its mission. So looking ahead we have decided to make some radical changes that will allow us to keep innovating and keep us doing what we love most….educating and seeking out those areas of health which are still not being given enough attention. To do that...we have decided that churning out meals on a daily basis is not the best use of our energy...we want the time to put more thought and attention into both our creations and also the message behind and experience of having a Grassy Hopper meal...SO.. We will no longer be operating our cafe during the day. From the 20th of October we will only be opening for 4 evenings a week...bringing you 2 special concept dinners and 2 vegetarian bistro evenings. We’re also going to be concentrating on catering for specific events and requests including office lunches, parties, weddings etc. We’ve really enjoyed the atmosphere of our evening events and are looking forward to some really cool ideas that we are going to develop over the coming weeks. I know many people may struggle to understand this move and may be disappointed to not be able to get their lunches BUT we hope you will keep following our journey and that we will inspire you and serve you in different ways. Message our page to book your table for any of the above! Thank you for following our journey so far and we hope to see you at our events! The Grassy Hopper is launching "The Bistro Evenings" ! During the last few months the Grassy Hopper has been open during Wednesday, Thursday, Friday and Saturday evenings with different dishes, and events to take you on a culinary trip in time. From today however, the grassy hopper has decided to offer a fixed menu, with 2 starters and 3 main dishes to chose from on the evenings where they do not offer a special event. For our special events check our Facebook page https://www.facebook.com/theGrassyHopper/ to be sure not to miss any information. All of the plates are plant based, and they try to offer as much gluten free options as possible. You can choose either starter & main for 17,50€, main & dessert for 16,50€ or all three for 20,50€. The menu will be fixed for one month and then our chefs will create a different one, always following the seasonal changes, and trends within the plant based world. Reservations can be done between 18:30-20:30 and 20:30-22:30 by calling 21311676. We are releasing a brand new menu especially for summer ! Fresh vegetables, fruits and superfoods will not be lacking in our new recipes! For the hottest season in Malta, we wanted to focus even more on juicy, fresh and green ingredients on your plates. It is part of Grassy philosophy to adapt our menu to the different periods of the year. For summer we wanted to offer cold, lighter alternatives using seasonal and refreshing ingredients. The wrap is made with green peas guacamole, avocado, tofu, spinach and cauliflower. Lighter and easier to digest, this new wrap will also provide you with a big amount of protein. Please note that the Burrito wrap will stay in the menu for the summer. All salads are being changed for summer : because a cold and fresh salad is probably the most appreciable meal during the hottest season in Malta ! Green Leafy salad with buckwheat cakes and sweet mustard dressing. This fresh and sweet salad is fully vegan and gluten free. Cold noodle salad with tahini and matcha (finely ground powder of specially grown and processed green tea leaves). As we use rice noodles, this salad is also gluten free. Summer should not mean that we cannot appreciate a good soup anymore! That is why, at Grassy, we prepare a special when-its-too-hot-outside refreshing soup. It contains beetroot, coconut and wasabi cream. It is as cold as gazpacho, but is as a beautiful pink color to please our eyes! Ozzu, our chef from Jakarta who became part of our Grassy Hopper team last April will make one Indonesian salad matching perfectly with the summer season. The Gado Gado salad is full of different crunchy vegetables, half raw and half cooked. The Gado Gado sauce tastes like peanut, and the salad is a combination of sweetness, savory and spicy flavors. As 2018 approaches we have taken a radical decision to stop operating our Valletta outlet. It has been a great and at times challenging two years of bringing our food to Malta's capital. One of the most beautiful things was seeing the diversity of people that we attracted. From judges and lawyers to bohemian artists and parched tourists. We especially enjoyed seeing the relieved faces of vegan and vegetarian tourists who felt like they had found water in the desert. We are particularly grateful to our regular customers who were the foundation of our operation. Many of them have seen all the phases that we went through. Catering is a difficult business and since we founded two other sister companies Theobroma and Sanya, running two Grassy Hopper outlets has stretched us too thin. So for this reason we have decided to focus all our energy on our Gzira outlet, extending our opening hours to also offer dinner from Wednesday to Saturday. Our mission remains the same. To disrupt the catering industry. To bring in new ideas and knowledge into our relationship with food. To help make it easier for people to access healthy food. To be a refuge for those who cannot find clean vegan food anywhere else. We will remain committed to serving our Valletta customers through our delivery service and we are also working on plans to offer pick up of special lunch boxes within Valletta. We know many of our customers will be disappointed to hear this news, but we count on your support to keep the spirit of Grassy Hopper alive and we look forward to updating you on some of the new ideas up our sleeve. Our Valletta outlet will be open for one last day on Friday 29th December, ending with our Ramen Night. Future editions of this popular event will be held out our Gzira outlet. Thanks again to all our customers and see you soon! The latest podcast episode with Peppi Gauci is now live. 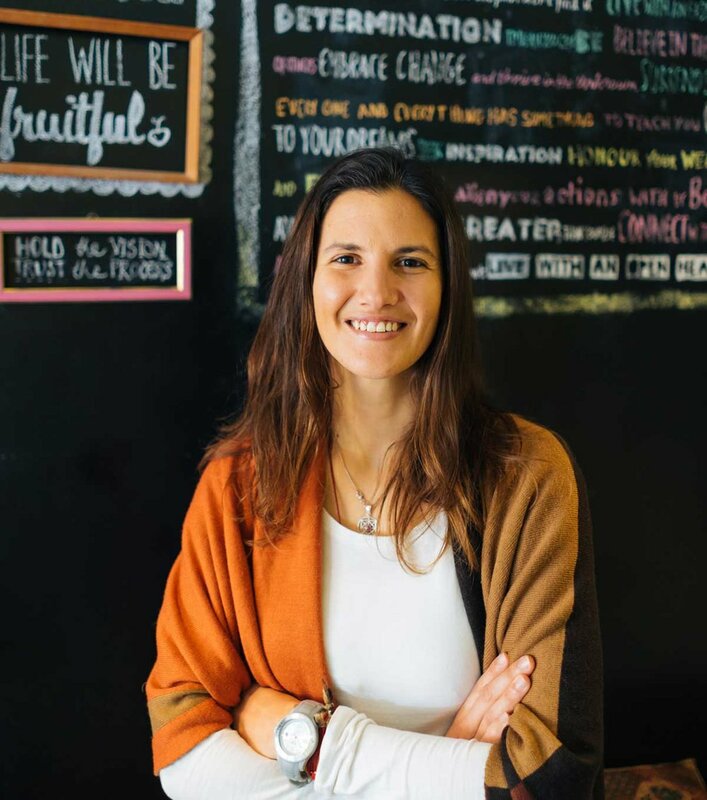 Peppi is a pioneer of the Permaculture movement in Malta. He's worked on the Bahrija Oasis project for 14 years turning a wind swept, soil eroded plot of land into a thriving food forest and educational centre. 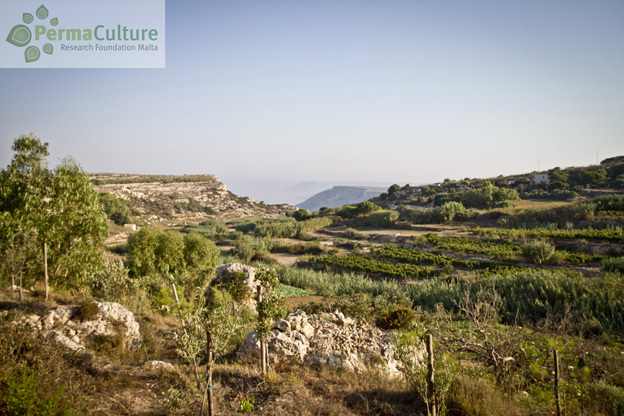 This conversation goes into Peppi's analysis of Malta from a permaculture perspective, his travelling adventures and the personal practices he uses to keep himself grounded and inspired. You can also listen to the podcast from soundcloud or directly from your Itunes Podcast app by searching for The Grassy Hopper Podcast. We love to hear your feedback so if you have been touched by anything you have heard please do drop us a line at info@thegrassyhopper.com. We would also love to hear your suggestions for different guests that have an inspirational message to share! Sprouts are so much fun. They give us the chance to bring all the joys of gardening and food preparation into one experience. They are easy to grow and have so many health benefits. The specific benefits will depend on the type of seed that’s used but in general all sprouts are rich in micronutrients and fibre, whilst also being low in calories so they’re great to add to salads and on the side of any dish. It’s a good way to get some raw goodness into any meal. From a more holistic point of view we can understand the power of sprouts by looking at children. Kids have so much energy, they can run around all day and still be wide awake at bed time. This is because they have a lot of life force energy (also known as prana or chi in some eastern traditions). Sprouts and baby greens also have a lot of life force energy and by eating them we take that fresh prana into our systems. Besides sprouting there are even many benefits to simply soaking our seed of choice. Nuts and seeds and designed by nature the last for months. They lie on the soil throughout the hot summer months and once the first autumn rains arrive they begin to spring to life. This mechanism works due to enzyme inhibitors that are found in the seeds that prevent them from growing when the conditions aren’t quite right. With the first rains these enzyme inhibitors are washed away and the enzymes in the seed are able to do their job and make the plant grow. By watching the patterns of nature we can recreate this mechanism by soaking our seeds and nuts overnight. When we throw away the water the next morning all the enzyme inhibitors are removed and the seed comes to life. At this point its life force energy and nutrient content have increased and it becomes easier to digest since the body no longer has to handle the enzyme inhibitors that we find in unsoaked nuts. The soaked nuts and seeds can be consumed as they are, added to salads and smoothies or even dehydrated once again for those that prefer the crunch. Almost any grain, seed or nut can be soaked and sprouted, although some are easier to digest and tastier than others. The ones we would recommend to sprout are: mung beans, alfalfa, red clover, broccoli, buckwheat and radish. These are some of the easiest to sprout so you can start experimenting right away. All other nuts and seeds can be soaked before consuming, here are some great ones to start with: walnuts, almonds, pumpkin seeds and sunflower seeds. Step 2. The next morning, drain the water and thoroughly rinse the sprouts with fresh water. Step 3. Place the moist seeds in a jar with a piece of mesh/cheesecloth around the lid held in place with a rubber band. Keep the jar at a 45° angle so that any remaining water can continue to drain. Step 4. Rinse the seeds at least twice a day. Step 5. Once you begin to see small tails to grow on the seeds you can rinse and dry the sprouts and consume. You can buy boxes of organic sprouts in compostable packaging from our Gzira outlet.